Do Environmental Offsets deliver for Carnaby’s Cockatoo? Brooke Richards (2016) submitted an honours thesis titled ‘Do Environmental Offsets Deliver for Carnaby’s Cockatoo?’ and we thought the findings of this thesis may be of interest to a wider audience. ‘Direct offsets, which are actions designed to provide for on-ground improvement, rehabilitation and conservation of habitat. Direct offsets vary, depending on the specific circumstances of environmental impacts, and include acquisition, restoration, revegetation and rehabilitation of natural areas outside the project area. Environmental Offsets should only be applied after all avoidance and mitigation options have been pursued. Sadly, this is not always the case, and some mining companies and land developers treat environmental offsets as an additional tax on development and pay the money so they can get on with their project. Such an action might be encouraged by government, as environmental offset funds allocated to research provide a significant source of revenue for government research staff. Richards (2016) thesis explored whether state and federal offsets were delivering on the stated goals defined within offset policies, and specifically addressed the research question: how have offsets for Carnaby’s cockatoo been applied by both WA and the federal government? She considered only offsets established between 2011-2016, because the current State Government policy was issued in 2011. An effective environmental offset should provide no net loss (IUCN 2015), maintain or improve (Department of Sustainability Environment Water Population and Communities 2012) or like-for-like (Government of Western Australia 2011). 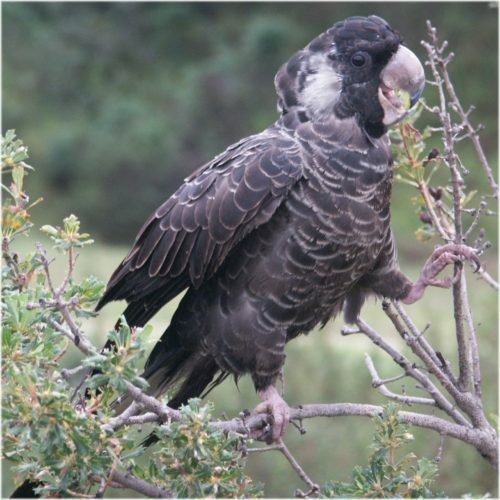 However, when a proponent clears 10ha of Black-Cockatoo foraging habitat in WA and the offset is to purchase 10 plus hectares of freehold land and then gives this land to the government, this does not result in no net loss, nor maintain or improve nor is it like-for-like. 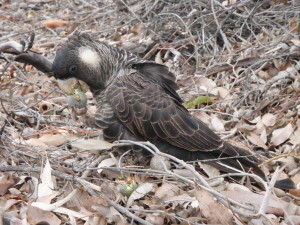 It is a net loss of Black-Cockatoo foraging habitat (IUCN 2015) unless there is some subsequent treatment of that land. Sadly, land acquisition offsets (i.e. transfer of ownership from private to public) are the most common offset for Black-Cockatoos in WA (Richards 2016). Purchased and ceded land was to be vested in the Conservation and Parks Commission, with DBCA managing the land. However, in WA there is no guarantee that purchased land will not subsequently be approved for clearing (Government of Western Australia 2015). Even after the WA Auditor General (2011) was critical of the management of environmental offsets and both state (Government of Western Australia 2011) and commonwealth (Department of Sustainability Environment Water Population and Communities 2012) governments have issued policies on environmental offsets, it is apparent that government regulatory bodies have dropped the ball on this issue. Auditor General. 2011. Ensuring Compliance with Conditions on Mining. Perth. Department of Sustainability Environment Water Population and Communities. 2012. Environmental Protection and Biodiversity Conservation Act 1999 Environmental Offsets Policy. Canberra. Government of Western Australia. 2011. WA Environmental Offsets Policy. Perth. Government of Western Australia. 2015. Perth and Peel Green Growth Plan for 3.5 million. Perth. IUCN. 2015. Biodiversity offsets policy: draft for public consultation. Switzerland. Richards, B. 2016. Do Environmental Offsets Deliver for Carnaby’s Cockatoo? Honours. University of Western Australia, Perth. Interesting article Scott, is the thesis available electronically? I agree with the non-transparency of the offset process and outcomes set by State Government processes, however the monitoring of offsets that are set as a condition of a Commonwealth EPBC Act approval is made publicly available through annual compliance reporting which has to be published on the developer’s website. Not sure if Brooke’s thesis addresses that point. This is quite disturbing, but not that surprising. Allocation of responsibilities, lack of compliance monitoring/control, and lack of transparency seem to be key. Also I feel that an offset area should be protected against future development. If this is not the case, then what is the point? !